Brick Town Talk: Shop in the Orient! - LEGO Town, Architecture, Building Tips, Inspiration Ideas, and more! BrickFanTown is at it again! 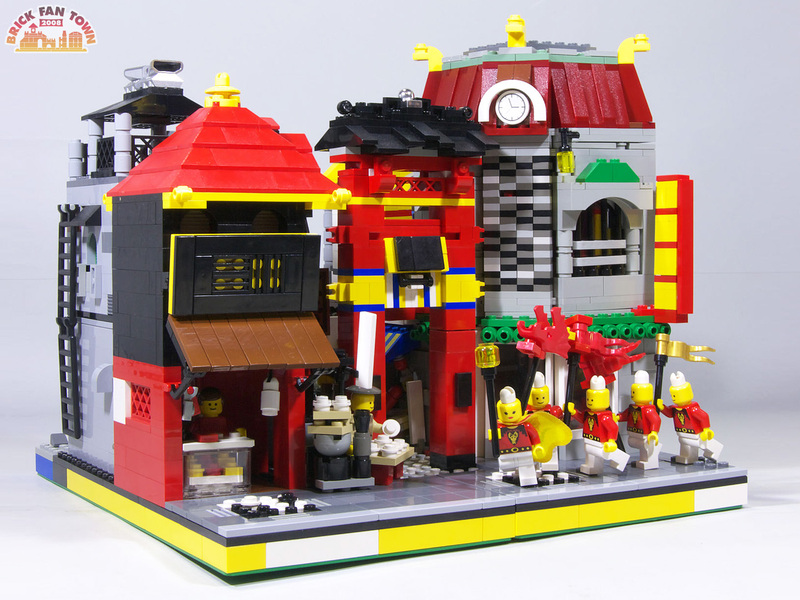 Built by a group of Japanese AFOLs, BrickFanTown is thriving and now supports an "exotic" district. It features all sorts of small shops and alleyways from noodle shops to small kiosks under the awnings. The variations in colors and architecture is what it is all about, and that's what I like best about these. They're fun to look at, but they still maintain a realistic aura about them.